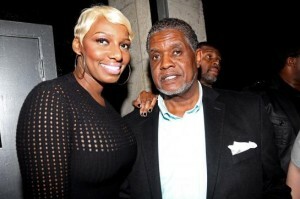 NeNe & Gregg Leakes Do It Again! Our favorite housewife from Atlanta, NeNe Leakes officially said “I do” a second time to the man she split from three years ago. The Real Housewives of Atlanta star tied the knot with ex-husband Gregg Leakes in an over-the top, 400-guest ceremony Saturday night at the InterContinental Buckhead Atlanta hotel, according to E! News. We already know that the cameras were there to film the entire event. It has been previously announced that the newly-recommitted couple have landed their own Bravo spinoff show dramatically titled I Dream of NeNe: The Wedding.